Marketing and Promotional strategies go hand in Hand. Among the different aspects of branding, promotion holds the key element in putting across the advantages & benefits of your product or services to your customers. 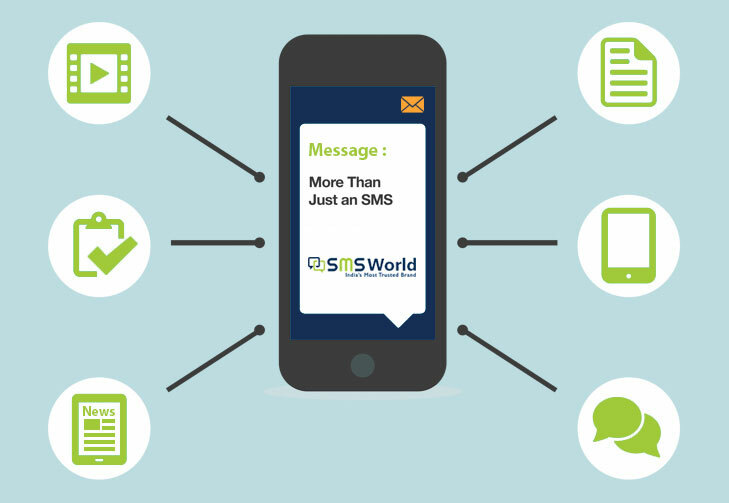 The well designed Promotional Bulk SMS Packages of SMS World ensures your business long-term success by bringing in more customers and ensuring profitability. According to a recent research, Smartphone users check their gadgets more than hundred times during a day unintentionally or intentionally and maximum times they come across promotional text messages on their screen. While as they check their social media profiles only if there are connected to an internet connection. On the other hand, In India, just 10 percent of people remain online always while as the rest of the 90 percent depend on SMS services to send text messages to each other. So it will be very fruitful for you if you will avail SMS World offer which is certainly a great deal for a marketer in India. Our Bulk SMS Offer is effective because 90 percent Smartphone users find it easy to read SMSes than the promotional emails sent by a marketing company. Hence SMS marketing is considered an ideal way for promoting a service or product. A bulk SMS Promotional package doesn't only deliver information in large quantity but it helps in keeping your existing customers in your loop. When you are required to deliver information on a large scale in a short time period, the bulk SMS solutions are preferred over all methods of communication. With the help of promotional SMS World Packages, you are able to keep your clients updated by adding the walk-in-contacts. Your existing customer can refer you the new services.